If you or a loved one has been injured due to someone else’s actions or negligence, you may be entitled to compensation. Working with a personal injury lawyer is crucial to securing damages. You need an experienced professional on your side to provide you with the representation you deserve. That said, most people aren’t in the position to need the services of a personal injury attorney on a regular basis. Odds are good you haven’t had to hire one before. 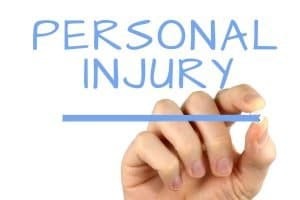 You may wonder “How do I hire a good personal injury lawyer?” when making this decision. These tips will help. Keep them in mind if you ever need an attorney to help you pursue justice in a personal injury case. It’s important to look for qualified experts in your general area when researching attorneys. For instance, if you live in San Diego, you want to coordinate with an attorney based in San Diego County. They’ll be familiar with the relevant California laws. They’ll also be easier to meet with when you need to discuss your case, and they’ll be more likely to have relationships with local experts who can help them strengthen your case. However, proximity is not the only quality worth looking for in a personal injury attorney. You also want to find someone who has experience working with clients such as yourself. After all, personal injury is a fairly broad topic. Everything from dog bites to auto accidents falls under the category of personal injury law. Take your time to find a lawyer who has already handled cases like yours. All personal injury lawyers need clients to hire them if they’re going to stay in business for long. Thus, just about any San Diego personal injury attorneys you find will promise to offer unbeatable representation. That doesn’t mean you should take their words for it when they make such claims. It helps to hear others vouch for the quality of their services as well. Granted, this can be tricky when hiring attorneys. They need to get permission from former clients to share testimonials in order to avoid violating attorney-client privilege. That said, odds are good any lawyers worth hiring will have at least a few former clients willing to speak for them. Ask for such testimonials to get a better sense of how an attorney serves their clients. You might also ask them to share information about the outcome of cases similar to yours. Expertise and experience are important qualities for your personal attorney to have. You need to find someone who can demonstrate their ability to provide you with strong representation. You also need to make sure you’re comfortable with your attorney. After all, they are going to play an important role in your life until your lawsuit resolves. You want to be certain you feel you can easily communicate with them. That’s why it is at least somewhat important to pay attention to how you feel about a lawyer in a general way when first discussing your case. If you get the sense that they’re easy to talk to and they genuinely care about your feelings, you’ll have a more productive relationship. Ask every attorney you meet with to provide an estimated timeline for a case like yours. Of course, you may not want the case to drag out longer than necessary, but you also don’t want to work with someone who will rush through it to get a quick payday. Asking for timeline estimates from several lawyers helps you better determine how long you should expect a case to last. This, in turn, makes it easier to know if an attorney’s specific estimate is reasonable. Don’t assume the estimate will always match reality. Many factors impact the length of a case. The goal isn’t to find out exactly how long yours will take to resolve. Instead, you just want to get an average estimate to help you assess your options. 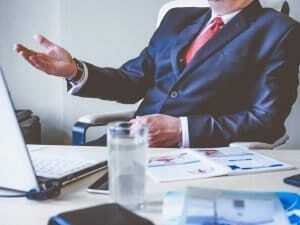 You should also talk about the frequency with which you’ll meet your lawyers after hiring them. While attorneys do typically have other clients who need their attention, you also need to be confident you’ve found someone who will be responsive when you have questions or want updates. Do you have any family or friends who’ve needed the services of a personal injury attorney in the past? If so, they may have insights into the reputation of certain local firms. Ask around to find out what people think of the lawyers you’re thinking about hiring. Recovering from an injury can be difficult for many reasons. By taking the time to find the right personal injury attorney, you can make the experience a little bit easier. Contact our team at Jorgensen Law to learn more about scheduling a consultation. Call 1-888-855-2948 today! We’ll be happy to answer your questions about the process, demonstrating why we offer the representation you need and deserve.